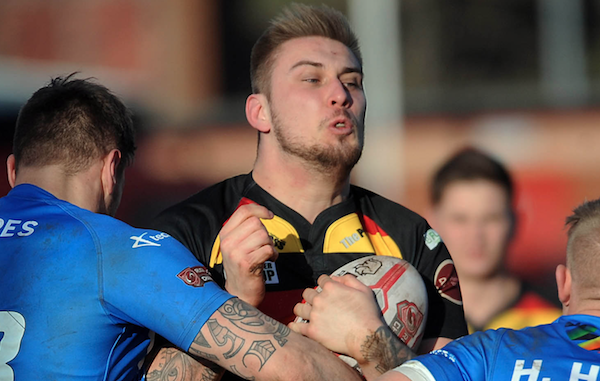 Batley have signed Sheffield winger Iliess Macani and Dewsbury front-rower Toby Everett for the 2019 season. Macani started his career at London Broncos, where he scored 26 tries in 68 games for the club, before joining Bradford in 2017. He scored 10 tries in 25 appearances for the Bulls and he has played for Sheffield Eagles this season. The 24-year-old will add a lot of depth to the Bulldogs’ squad, with him being able to play on the wing, at full-back or centre. Meanwhile, Everett made his debut for London in 2014 and went on to play 21 games for the Broncos, and he had loan spells at Hemel Stags and London Skolars. The 22-year-old joined Toronto Wolfpack at the start of the 2017 season, making three appearances for the Canadian club before picking up an injury and returning to England. Everett then joined Batley’s rivals Dewsbury Rams, where he caught the eye of head coach Matt Diskin. On the arrival of Everett, Diskin said: “We’re really pleased to have Toby on board.